Imagery taken from Mala Wharf, Maui, Hawaii in 2015 and 2016. 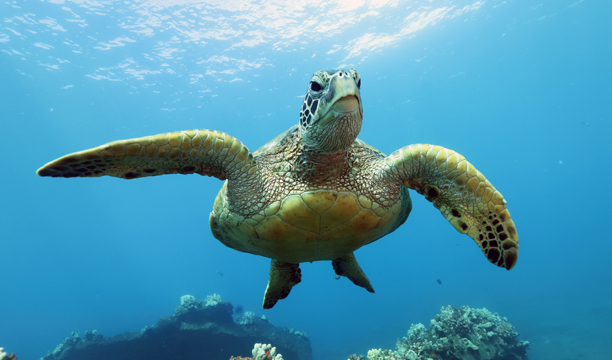 Mala Wharf is shallow shore dive that consistently provides fantastic encountered with majestic green sea turtles like no other place I have visited. Most of the concrete wharf was destroyed in 1992 by a typhoon, and the resulting rubble provides excellent shelter for a myriad of creatures, including the threatened green sea turtle. Diving this site at sunrise before other divers arrive is truly paradise. Imagery taken from Maui,Molokai, and Lania 2015 and 2016. Most of the imagery in this gallery is from Mala Wharf and Kahekili Beach on Maui, both shallow but amazing shore dives. Imagery is also included from Lania Catherderals, Molokini Crater, and Moku Ho O'Niki Rock near Molokai. 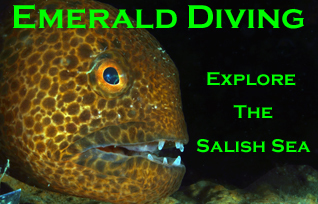 Wonderful collections of small, colorful reef fish, morays, eagle rays and frogfish inhabit all these reefs. 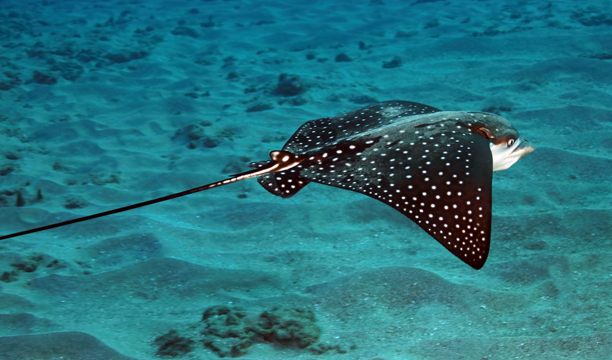 Because Hawaii is so isolated in the Pacific Ocean, many species inhabiting these waters are endemic to Hawaii. Imagery taken from Tiger Beach, north of Grand Bahama, in January 2016. Tiger Beach is one of the only places in the world where divers can get really up close and personal with the infamous tiger shark without a cage. 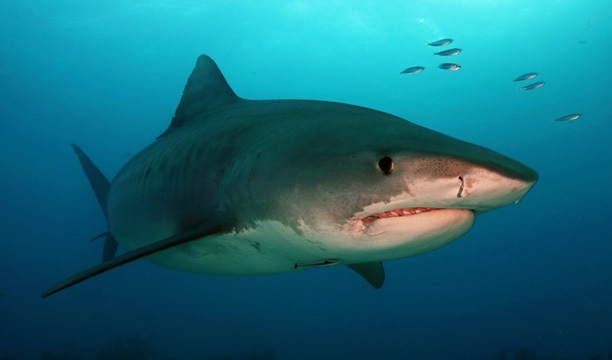 There are about half a dozen female tiger sharks ranging from 9 to 11 feet in length that regularly frequent Tiger Beach from fall to spring. These sharks have become very accustomed to shark feeding. For one of the most notorious killers in the ocean, my experience is tiger sharks are extremely well behaved provided you respect the shark. Imagery taken from Bimini, Bahamas, in January 2016. Two days of my January 2016 Tiger Beach dive drip were spent at Bimini where a number of great hammerhead sharks frequent and have become accustomed to shark feeding. 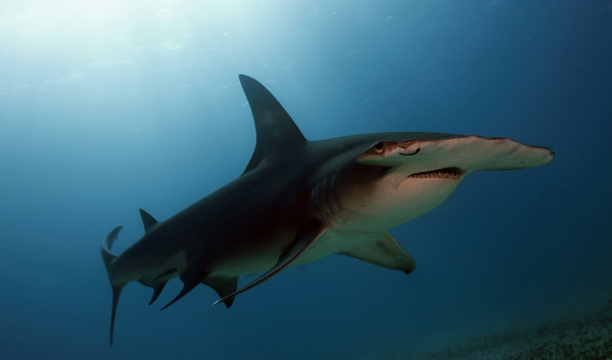 In addition to the great hammerhead shark, bull and Atlantic nurse sharks patrol the shallow sand flats as well. 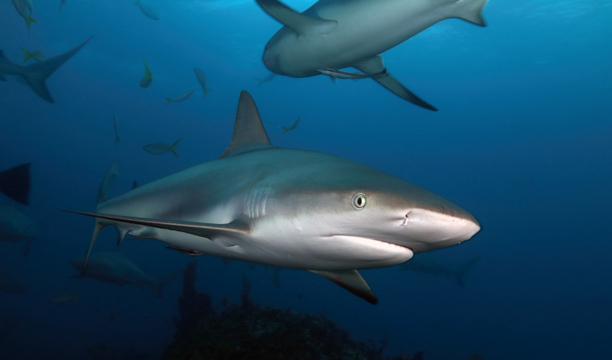 However, the bull sharks are constantly chased off by the dive charters, so tend to be wary. Imagery taken from Tiger Beach, north of Grand Bahama, in May 2015 and January 2016. These are wonderful, photogenic sharks. Often ignored by many of the divers on the tiger and hammerhead safaris, dozens of Caribbean reef sharks often circled the scent boxes hung off the dive boat to create a scent trail to attract sharks. It's an awesome experience to ascend into a group of a dozen or more circling Caribbean reef sharks at shallow depth in crystal clear, shallow depths. 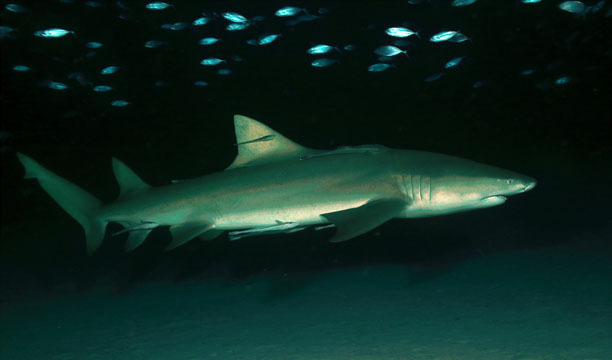 One of my favorite sharks, the lemon shark is a sinister looking shark with its small eyes and sleek body. These sharks are very bold and have no apprehension cruising within arms reach of a calm diver. Lemon sharks really made my first trip to Tiger Beach aboard the Carib Aggressor, even though I saw four tiger sharks during the trip. By comparison, I saw well over 100 lemon sharks. Imagery taken from Turneffe and Lighthouse Reef, Belize, in 2012. Some of the most beautiful, easy diving I have ever done was aboard the Belize Aggressor in 2012. Almost all the diving was right off the back of the live-aboard. 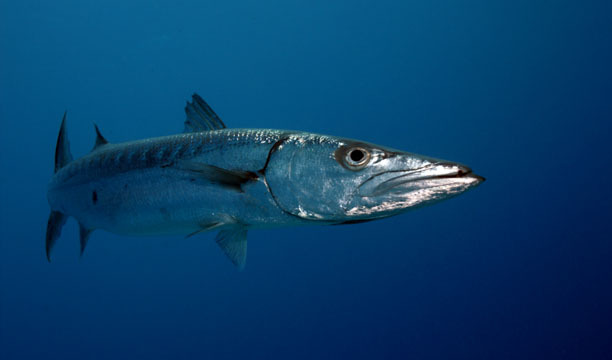 Huge tarpon, great barracuda, sea turtles, and amazing reef fish filled most dives. The only disappointment was the lack of sharks in this area - I only saw one the entire trip. Imagery taken from Tiger Beach, north of Grand Bahama, in May 2016. My first trip to Tiger Beach was aboard an Aggressor liveaboard that did not exclusively target shark encounters. We therefore had opportunities to explore some of the many pristine reefs around Tiger Beach. 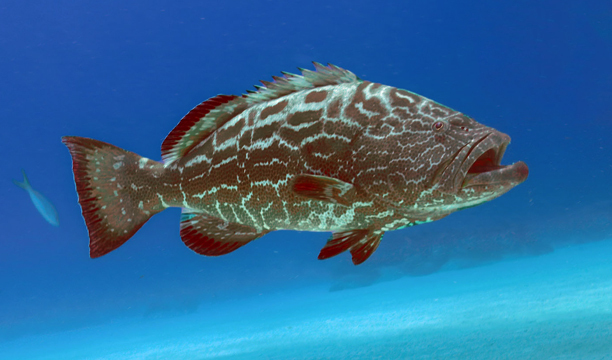 This charter offered a good balance between shark encounters and reef exploration. Imagery taken from Brother Islands, Daedalus and Elpinstone Reefs in May 2017. After 14 years, I returned to the Red Sea aboard the Red Sea Aggressor for 5.5 days of diving at a few local reefs to Marsa Alam, the Brother Island. Daedalus Reed, and Elphinstone Reef. This excursion offered some of the best diving I have every done - gorgeous hard and soft corals, gorgonians, amazing reef fish, sea turtles, and occasionally blue water pelagic sighting of scalloped hammerheads, grey reef sharks, mantas, and even a thresher shark. The Red Sea is an incredible place.